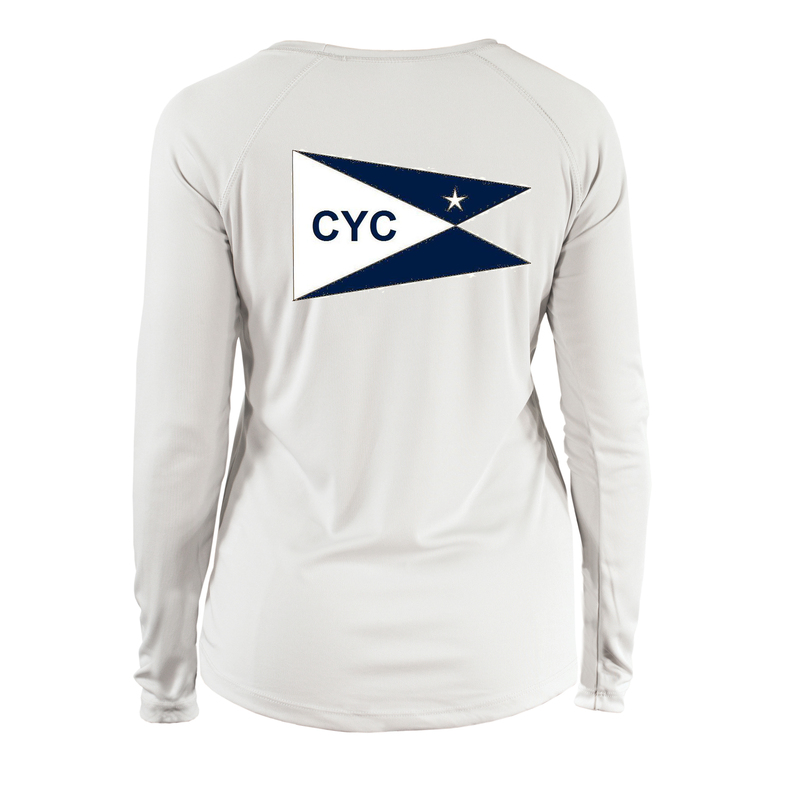 This long sleeved tech t-shirt has the Centerboard Yacht Club logo sublimated on the front left chest and a large logo on the back. The Solar Performance Long Sleeve is now available in a cut just for women. Our solar performance fabric offers superior sun protection and performance qualities. Featuring up to UPF +50 solar protection, the Solar Performance Long Sleeve is lightweight, comfortable, and sure to keep the sun’s rays from penetrating through to your skin. This fabric is powered by PURE-tech™ moisture wicking technology.